Used correctly, technology can work miracles in getting learners more involved in the classroom. One of the major advantages of using technology such as cellphones and iPads in the classroom is that it personalises learning. Most apps are available in various difficulty levels so learners can progress at their own pace until they’ve mastered a new concept. 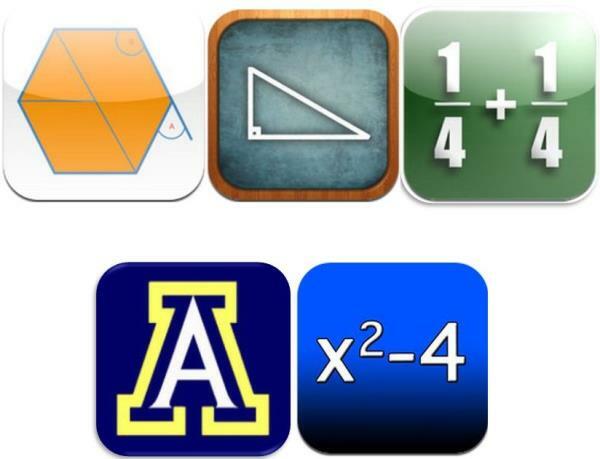 These apps, specifically developed for iPad, iPhone and iPod, focus on maths for Grades 7-9. They can be downloaded from the iTunes shop. A simple app to help you solve quadratic equations. Use it to practise factorisation as required by the curriculum. Practise how to determine interior and external angles by yourself with the use of this app. Straight and parallel lines are also included and the rules of trigonometry are explained in the process. With this app learners can master fractions – with practice, practice and more practice. From fraction simplification to multiplication and division. Teachers can use the app to explain Pythagoras’ theorum. Given two sides of a right-angled triangle, with this app you can work out the third side effortlessly. It works for figures with and without decimals. A series of seven video lessons that explain triangles, including classification, angles, congruent angles and halving lines. Teachers can show these videos to the class as an introduction to lessons.